Torrential rainfall has washed oil and other toxic chemicals into the state’s waterways. Oil runs off from a production site on the Trinity River during a 2015 flood. This has been happening again, after last spring's floods. Seventeen deaths, hundreds of homes flooded, a prison evacuation – all from the latest round of torrential rain in Texas. Now, hundreds of barrels of oil and other toxic chemicals have spilled into the state’s waterways. The Texas Railroad Commission, which regulates the energy industry, points to at least nine incidents in two counties. But that’s far from the big picture. El Paso Times reporter Marty Schladen says reports of recent spills in Lee and Fayette Counties are just the tip of the iceberg. This Election Cycle, Will Republican Latinos Decide to Vote Democratic? Friending Your Teacher: How Should Students & Teachers Interact on Social Media? Why Don’t More African-Americans Visit State Parks? 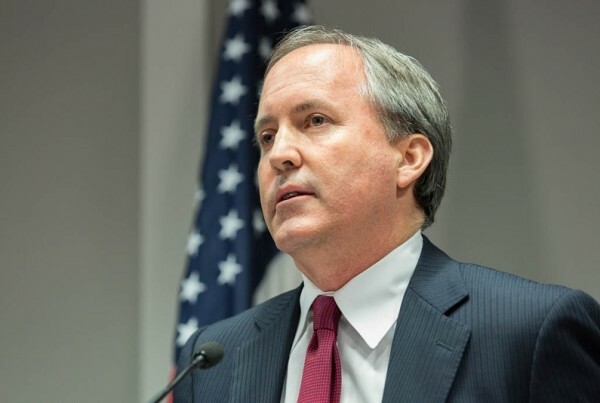 How Will Attorney General Paxton Pay For His Criminal Defense?